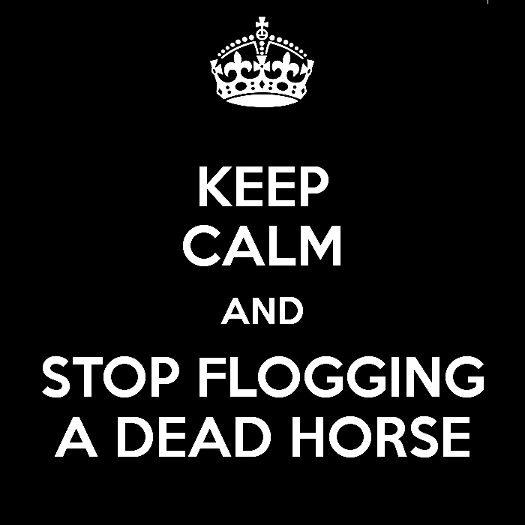 The British Gazette » Brexit: Flogging a dead horse. Some things in life are predictable. For instance, the sea water below and beyond the coast path that is my regular walk, is A, cold and B, wet. And Madame Mayhem will loose her vote in Parliament this evening. Others are less so of course. However, it is reasonable to assume that following her defeat, Madame will embark upon yet another Grand Tour of European capitals in a vain effort to seek “assurances” about the “backstop”. Then in around a fortnight’s time, at the beginning of February she will present again “The Deal” to the House of Commons who may very likely deliver the same verdict upon it. When the history of this sad period in our nation’s history is written there will be two individuals who will come in for special mention. One is Madame herself. The other is Speaker BERCOW (Bombastic Europhile Remaniac Cretinous Old Windbag). #1: Pass a motion requiring the government to request an extension of Article 50 from the EU. #2: Enact a statute for a second referendum. NB: This in and of itself will cause a crisis. This because in order to satisfy the ERG, “No Deal” must be on the ballot paper. This also because in order to satisfy the DUP, “The Deal” must not be on the ballot paper. This also because in order to satisfy the many Labourites, all Lib-Dems and the SNP “No Deal” must NOT be on the ballot paper! Therefore Madame is in an impossible situation! Should there be a second referendum with three choices, what will be the voting method employed! #2: The Supplementary Vote (as used in the Police & Crime Commissioner elections). #3: The second ballot (the way the French elect Presidents). Of the three, our personal preference on such an important issue would be #3.